At its core, the job of inbox providers is to protect their users from bad senders. To accomplish this, they have created filters, algorithms, spam traps, and user tools that attack spam on three fronts: (1) bad recipients, (2) bad content, and (3) bad infrastructure. Microsoft and Apple have dabbled in pressing marketers for design improvements, but Google has really led the fight against bad design—and it makes perfect sense that they would. Google has long determined that it can often answer users’ questions much faster by providing information directly to them rather than referring the user to another website. The Direct Answers and Knowledge Graph components of its search results clearly demonstrate this attitude. The first moves to bring this approach to email were innocent enough. In 2009, Gmail adopted List-Unsubscribe, giving their users the opportunity to unsubscribe from a sender when they report their emails as spam. “Searching through individual messages for little unsubscribe links is too big a pain,” Gmail said when announcing the functionality, which is enabled by marketers by adding list-unsubscribe code to their emails. Gmail expanded the functionality of List-Unsubscribe in 2014 to create a native unsubscribe link that sits just to the right of the sender name when an email is opened. This latest move makes opt-out links much easier to find than the ones marketers include, which even years later are often small and difficult to find quickly. Apple’s primary contribution to the fight against bad email design has been auto-linking dates, times, phone numbers, locations, and other keywords and phrases on iOS devices to calendars, maps, and other apps. This behavior creates legibility issues, loss of brand consistency, and unintended pathways—all of which are unwanted distractions. Thankfully, email developers have found workarounds to override this behavior. In 2013, Gmail introduced Quick Actions, which allowed marketers to create a call-to-action (CTA) button in Gmail’s preview text that let subscribers bypass opening the email and click directly through to the landing page. The CTAs were limited to a number of common actions, such as checking in for a flight, RSVPing to an event, and tracking a package. This wasn’t automated—marketers have to enable Quick Actions by inserting JSON script, or schema, into the header of their emails for them to be included. Plus, as with List-Unsubscribe, Google doesn’t act on the schema unless it has determines that the sender is in good standing. This gist of this move is that for some kinds of messages, envelope content is all a marketer needs. They don’t need body content—which is the content that marketers spend the vast majority of their time creating. Creating the next iteration of Quick Actions, Google introduced Highlights as part of Inbox by Gmail when it launched the mobile app in 2014. When enabled by marketers, Highlights can display key content from the email instead of traditional preview text. Up until this point, all of inbox providers’ email design interventions required marketers to directly enable them, or at least gave them a way to disable them. However, with the recent launch of Inbox by Gmail’s Glanceable Newsletters feature, design interventions are starting to be imposed on marketers’ emails without recourse. Going a couple of steps further than Highlights, the just-launched Glanceable Newsletters feature doesn’t display the email’s subject line and replaces the preview text of the email with a list of Google-selected articles from the newsletter. When clicked, it opens an expanded preview of the articles, which then take you to the article’s webpage when clicked. The actual email isn’t opened unless the subscriber clicks on it, which is listed under “Related Items” under the expanded preview. 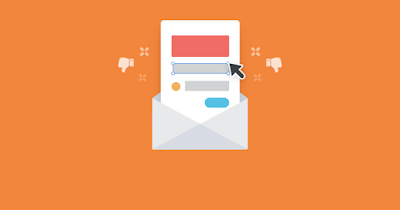 While Highlights had the appearance of Direct Answers and Knowledge Graph content from Google’s search engine result pages, it’s with Glanceable Newsletters that those features are truly being applied to email. The sea-change here is that marketers can’t currently opt-out of Glanceable Newsletters, which largely circumvents the design of their emails—as well as any advertising, special branding, or secondary messages in it. Whether you think Gmail has gone too far and whether you think they should give marketers a means to opt-out Glanceable Newsletters, it’s clear that bad email design has joined bad recipients, bad infrastructure, and bad content in the “bad sender” equation. Email marketers should expect more developments in this area.